With multiple choices available, the Controls line from Baumalight gives you both the power and freedom to control your Nomad tree spade. Whether you choose a fixed manual control solution, wired, wireless or AUX Baumalight has you covered. Learn more about which option best suits your carrier below. 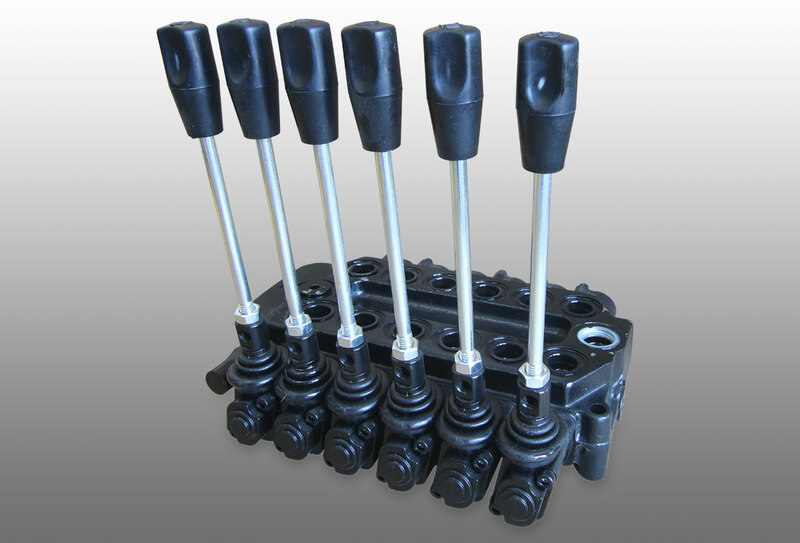 Manual hydraulic valves with a dual position mounting stand. For in cab convenience, the wired controller option gives you the ability to control the spading operation from the seat of your carrier. 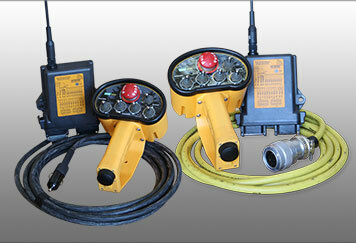 The hand held remote control can activate all digging and swigging actions using the power from your 12 volt plug. 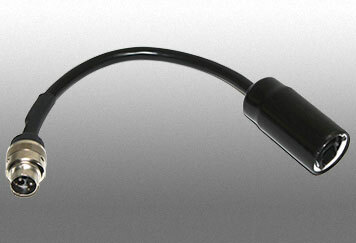 The controller comes with 20 feet of cable that can be fastened along the boom to avoid pinch points while powering the Nomad Tree Spades. 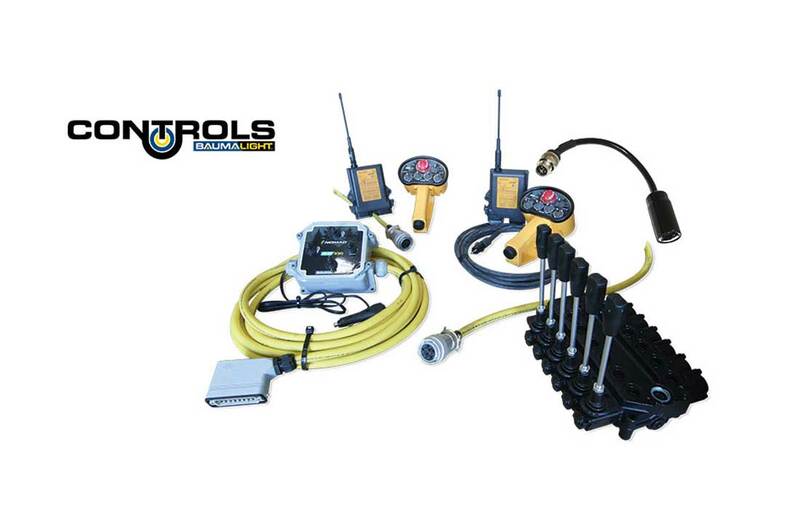 For the ultimate in convenience, the wireless controller option gives you the ability to move freely around the spading operation for the most precise insertion and extraction points available. 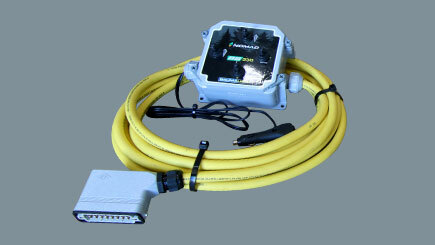 The hand held remote control can activate all digging and swigging actions and also has an emergency stop for safety. Choose between 12 volt plug and AUX connections. 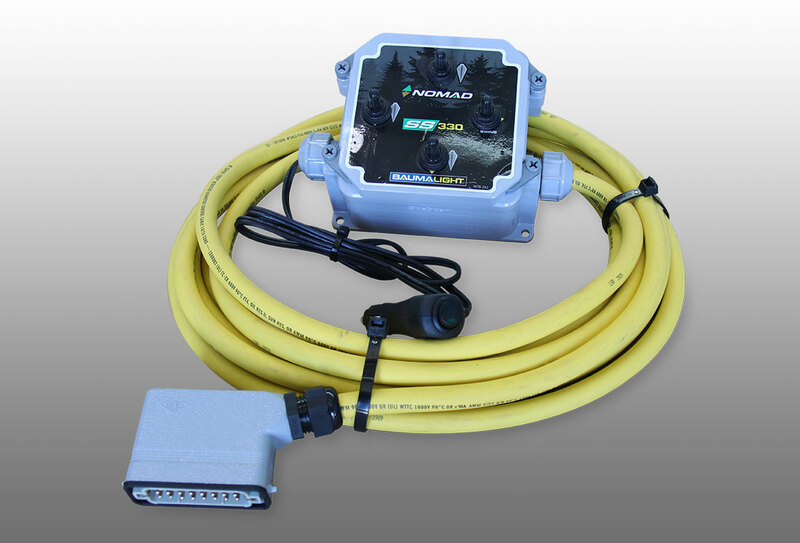 The 12 volt plug option includes the controller, plug and 20 feet of cable that can be fastened along the boom to avoid pinch points while powering the Nomad Tree Spades. 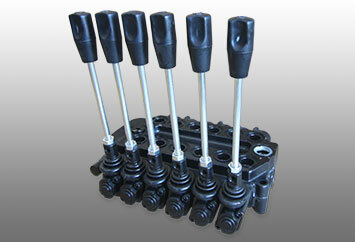 The AUX plug option will run along side the hydraulic hoses for the cleanest option. 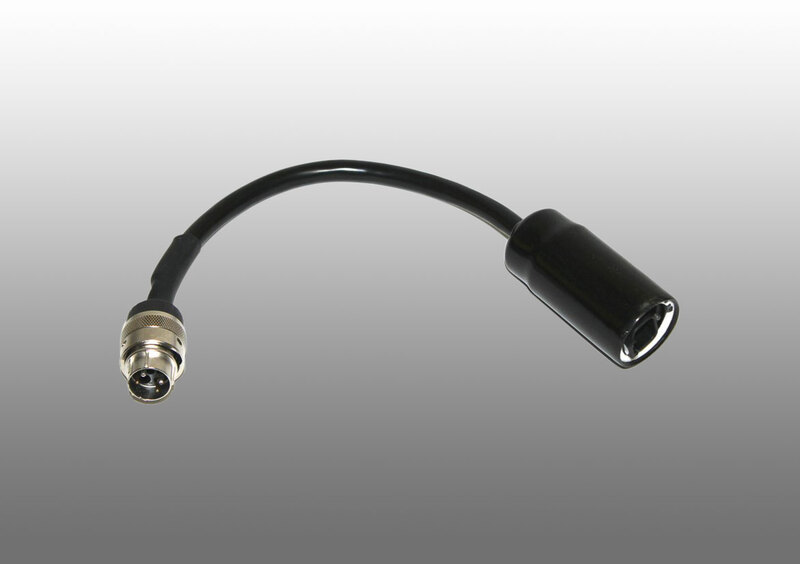 Baumalight now offers a 7 Pin Connection adapter exclusive to Bobcat carriers. Simply connect your AUX Electrical Connection to the adapter, which then connects to the in-cab power supply of your Bobcat. 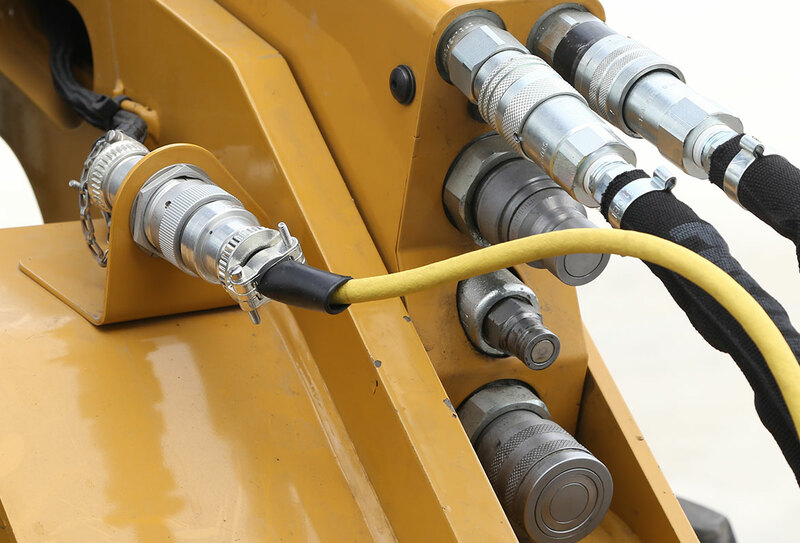 Baumalight now offers a more direct and simple way of connecting to your skidsteer’s auxiliary electrical connection. 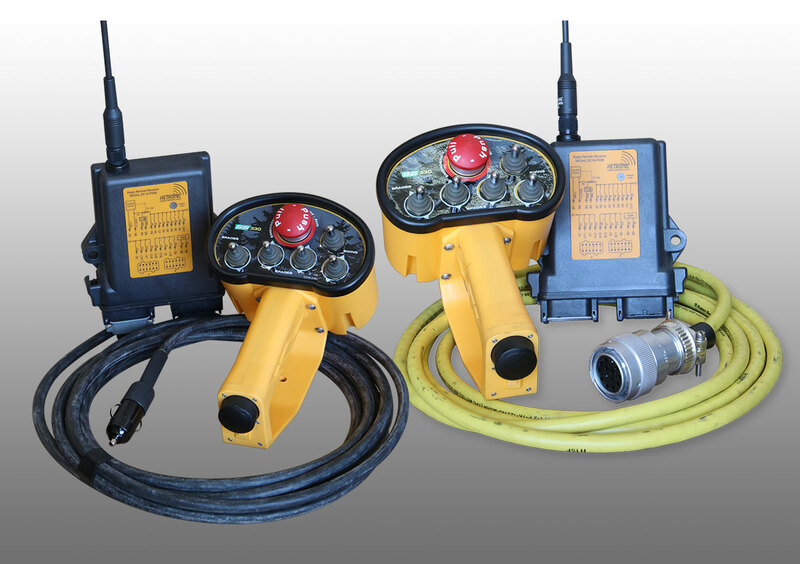 Simply connect the hydraulics and plug in the electrical. Now you can control the attachment from inside your cab.